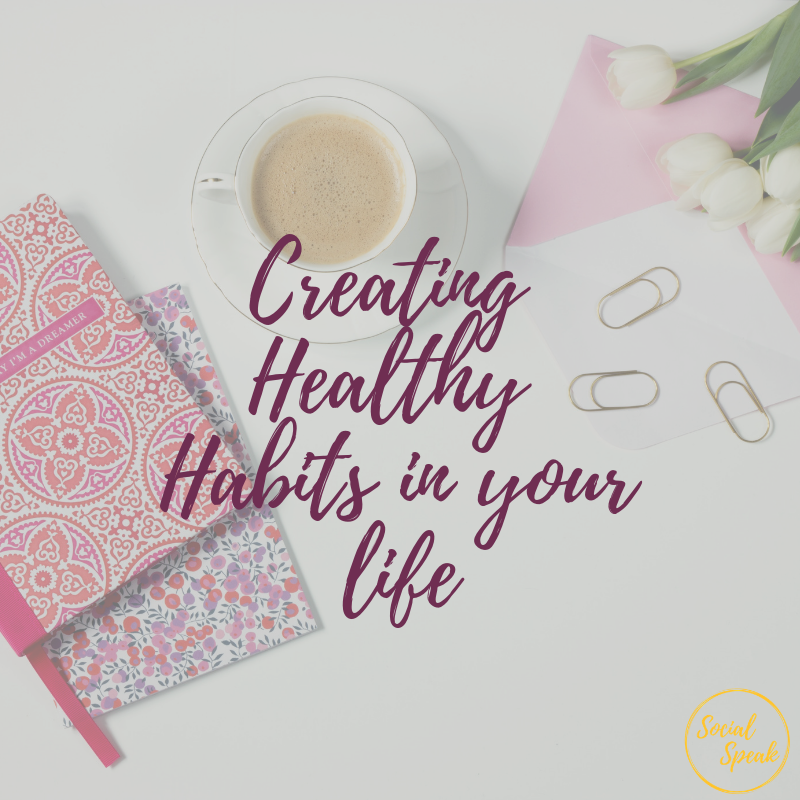 I feel like this year is different than other “New Years”, I always create a vision board, write down my goals for the year and what I want to change or implement for the New Year, but this year I am really focusing on creating healthy habits for my life. 2018 was a HUGE year for me personally just around personal growth. 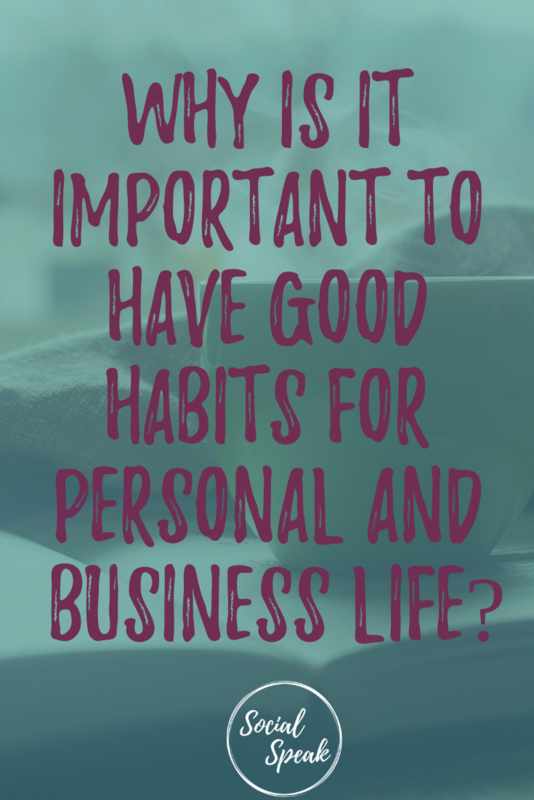 After reading a ton of self-growth books, leadership books, business strategy books, and more, one thing that almost every book mentioned was to implement good habits and how it would play a big role in your personal life and flow over into your business life. I have heard it takes at least 21 days to implement any habit. Whether we are setting good habits or breaking bad habits, I know for a fact it is all about repetition and STOP procrastinating! Today, I want to talk about the top 10 habits to have in your life, you will notice there are more personal than business. 1) The first thing first is creating a good morning routine. This means waking up early, some entrepreneurs wake up between 4-5am, that is a little TOO early for me still, I get up between 6-6:20 am each morning. If you feel you are not a morning person, a little tip is set your alarm 15 minutes earlier each day WITHOUT hitting Snooze, until you start getting up at that earlier time each day. By getting up earlier allows you time to set your daily intentions, I do this through morning journaling, taking 5-10 min each morning to write down my thoughts, intentions, action items for the day. This is also a great time to get inspired by listening to a TED Talk, audiobook, meditation, affirmations, anything that inspires you for the day, rotate through your favorite things! Tony Robbins has referred to the first part of your day as the magic hour, or where the magic happens, I have also heard this being called the power hour! This piece is something we can all struggle with, being able to get everything done, or having those days where it’s 7 pm and we wonder what the heck did we accomplish today. one thing I have learned is time chunking, or time batching. This process is where you block out a certain amount of time to focus on one project or task at a time. Even us awesome multitaskers need to time batch to make sure we are putting 100% towards that task and not allowing distractions. It helps to have a clear plan for each day, you can start by writing your intentions for the day or write the top 3 things you want to accomplish for the day are, rather than having a LONG to do list you can manage to check off 3 things per day, there is a great tool to help you accomplish this called the Eisenhower Matrix. Some have also followed the “Eat That Frog” book by tackling the one thing you have been putting off and getting that done each day. It’s really about stopping the procrastination and checking things off your list. We never know everything and there is always room for growth! A part of being successful is learning new things, asking questions, and always educating yourself. Be curious – even if you think you know the answer or how to do something ask someone or your team how they do. This is something people like myself AKA control freaks struggle with, we like things done our way and our way only, well with that mindset there is no room for growth. There can be many ways to get one thing accomplished. Read – take time to read blogs both about your industry but also other topics that you have interest in, listen to audiobooks, podcasts, YouTube videos. You need to have clear boundaries with your clients, customers, contractors, and employees, you are not around 24/7, they will respect this, trust me! Technology – this is a BIG task for anyone with a computer, tablet, mobile device and also anyone that has email or social media. We are constantly drawn to our phones, checking emails, social media, the list goes on. Define your hours for these tasks. Setting boundaries allows you the freedom and flexibility in your life. We need to respect our time. Whoever you choose to be a part of your tribe make sure they are on the same page as you, they have similar core values, they are positive, uplifting, and most important supportive of you and your life. We can get so bogged down with toxic people in our lives that tend to drain our energy, they don’t mean to do it on purpose, it’s just where they are in their lives. In order for us to succeed and step to that next level, we need to surround ourselves with positive and supportive people. AKA our Tribe. Taking control of your life – it’s too easy to get comfortable and slack, eat out, eat fast food, I am not saying to never do those things but in moderation. To show up and give 100% every day we need to make sure we are giving our body the nutrients it needs to be able to do that! This is something I honestly had struggled with until this year, I never thought of my Why or how it would impact my business along with my team. There is a tool called Why Institute this helped me discover my Why. It also relates to your core values. What impact do you want to have in the world, both small and large? What’s one thing that motivates you the most? Why is it important to you to be successful? The deeper you dig the clearer your why will be, the more honest you are with yourself the better. I know this may sound a little selfish, and maybe it is, but this is a big piece that is often forgotten, especially if you are a woman business owner, we get so caught up is work, family, taking care of everything that we forget to take time for ourselves. This goes back to tip 6 about having a healthy lifestyle. Taking “Me Time” is apart of creating that lifestyle. This “Me Time” is all about feeding your soul! You can also use this time to discover a hobby or interest, maybe you enjoy coloring, painting, making jewelry, etc. I know for myself when my daughter was born in 2012, I wanted to make her soap, shampoo, lotion, and use the best essential oils for her, her skin was sensitive, now I can’t bake or cook for the life of me, but making soaps, essential oil rollers, bug spray, lotion, and whatever else I found on Pinterest was very relaxing for me. It allowed me to take my mind off work and try something new, and still to this day I make our own goat milk soap and now I make it for all of our family members including my dad because they love it! It brings me joy to be able to make our own soap. This is “Me time”. With the world of technology, it is easy to get caught up in the social media scroll, looking at what everyone else is doing and we start to compare ourselves and get jealous. There is no need for this. This habit of focusing on positivity and being grateful will help elevate you to the next level. It is all about changing your mindset, and really implementing these habits are all about your mindset and commitment to yourself. Start every day in your journaling routine to write down 3 things you are grateful for, do this each and every day. Look around and see your accomplishments, family, friends, a roof over your head, food on the table, it’s the little things we take for granted and those are the things we should be grateful for every day! By focusing on the positive things in your life you are raising your energy levels to focus on the good and reach your idea of success. What conflicts did you have? What did you like most about your day? What was a challenge you had? Successful business owners are always looking to see what they missed or how they can improve their character. Even if you have a day where you didn’t feel you accomplished much, or maybe didn’t have much communication or interaction with anyone, still take time for self-reflection. 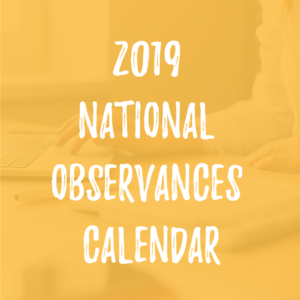 It can be very useful to jot down these reflections to be able to look back and evaluate them and then the following year you can continue to improve them. Just to be clear, this is NOT the time to beat yourself up or point out the wrong things you did or didn’t do, but to simply reflect on your day and see where there is room for improvement. This gives your mind that mental clarity, feel free to discuss with someone from your tribe if you need to talk through something. 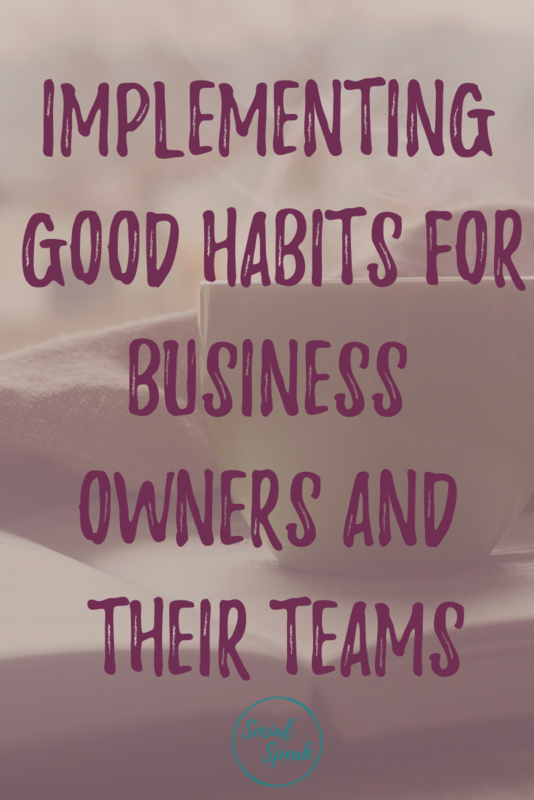 I have outline 10 awesome good, healthy, positive habits to start implementing into your daily life and I would love to see how they have changed your life, or which ones you are implementing. I am working on all of these myself, so we are in this together! Cheers to a healthy lifestyle, successful habits, and truly creating the life you have always desired!